A plate full of Dutch design. 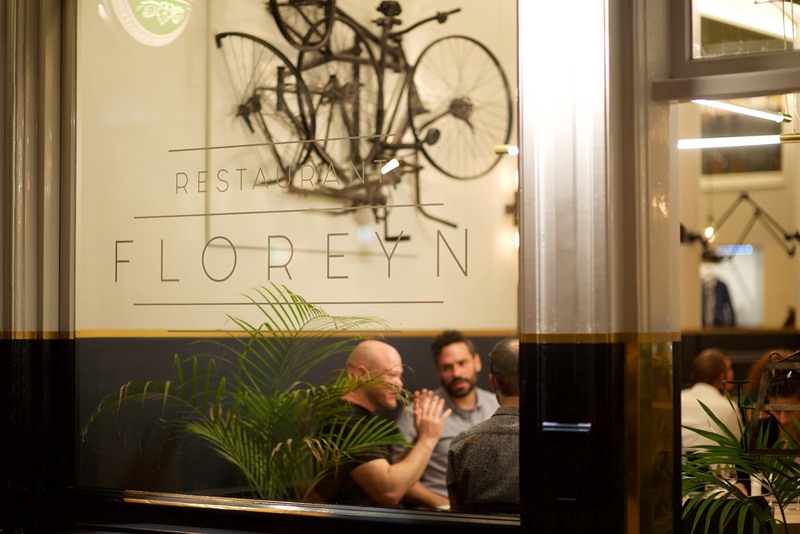 Designed by Studiospacious, restaurant Floreyn recently opened its doors in Amsterdam. 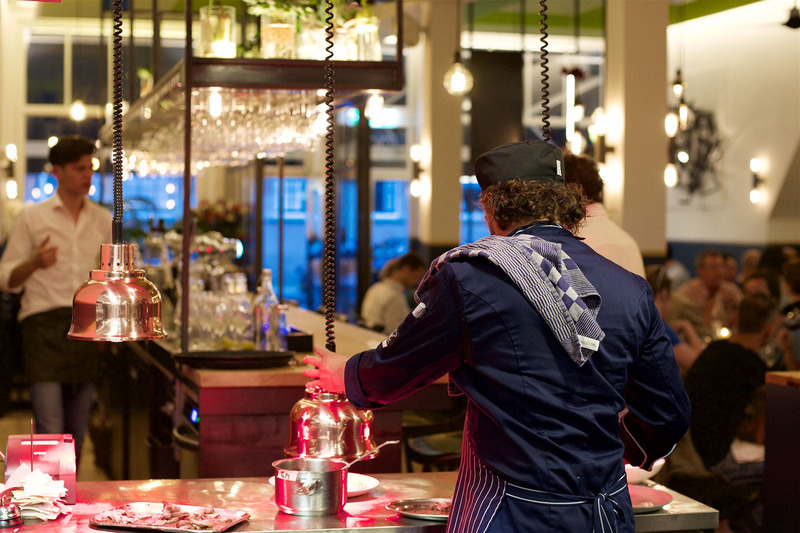 In the Netherlands, we tend to suffer from a minority complex when it comes to local cuisine. We have trouble stretching our imagination beyond meatballs and mashed potatoes. Brilliant local ingredients are forgotten and we need the few Michelin star chefs we have to point out the gems of our own culinary heritage. 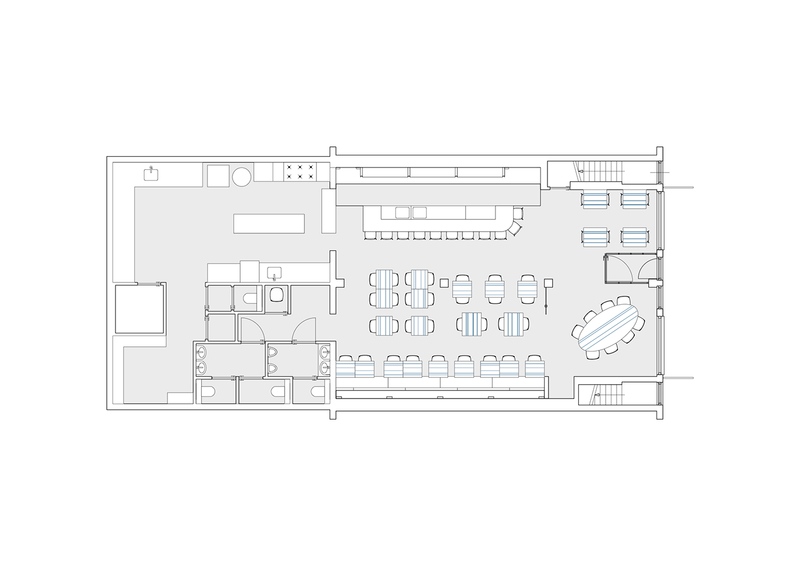 The four owners of restaurant Floreyn asked us to design an interior for a restaurant that serves 'Dutch cuisine'. 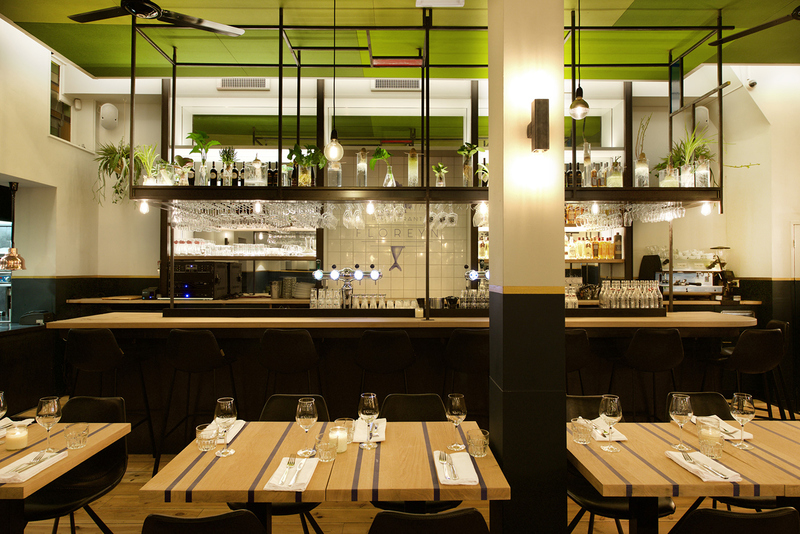 The starting point of the transformation of the restaurant were two menu cards that characterise the atmosphere and taste of the typical Dutch cuisine. Forgotten vegetables and tastes of the good old days, served in a contemporary way. 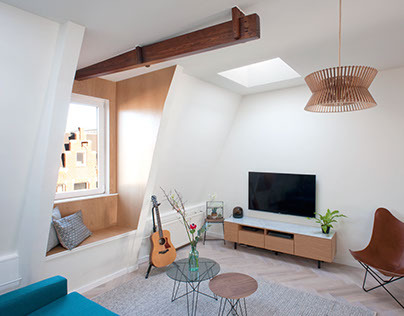 We took this particular starting point to design an interior where the guests experience The Netherlands without becoming cliché. 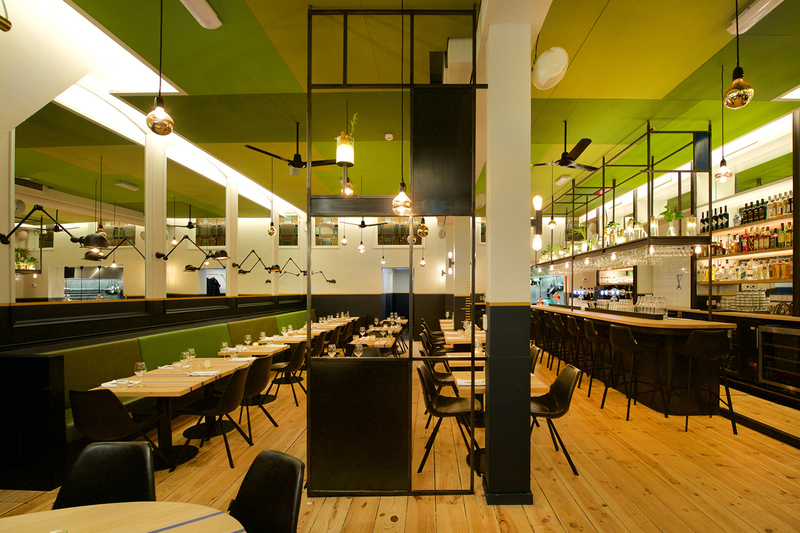 The brand promise, 'Exceptionally good Dutch food', has been the design team's inducement to create a design concept that translates elements from Dutch nature and culture into the interior of the restaurant in a sophisticated way. And in the same way that wine always tastes better when you’re on holiday, the interior seems to add something to the food and the whole experience that takes it to a higher level. At first glance, the menu seems to confirm our fears for Dutch clichés. We spot cauliflower, mash, treacle, potato and butter cake among others. But appearances are deceiving. The cauliflower for example, is a showcase of five different preparations of cauliflower. Each of them just as delicious as the next. And the main course proves you don’t have to get your beef from Japan where the farmer feeds his livestock beer and gives them a massage three times a day. The cows from Abcoude, not even 15 km from Amsterdam, provide us with a perfectly succulent ribeye steak. As with the food, Dutch clichés are given an unexpected twist in the interior. It starts on the outside where the bottom metre and a half of the facade is painted in an old fashioned Dutch blue with a fresh, neutral grey for the top part. The two parts are separated by a golden stripe that indicates NAP (Normal Amsterdam Level), which is the national standard of water level in Dutch rivers. The golden indicator continues inside the restaurant where, as in so many parts of the country, you dine below sea level. The scale on the central column tells you exactly how much below NAP you are. Several elements from the old interior are rescued and recycled. 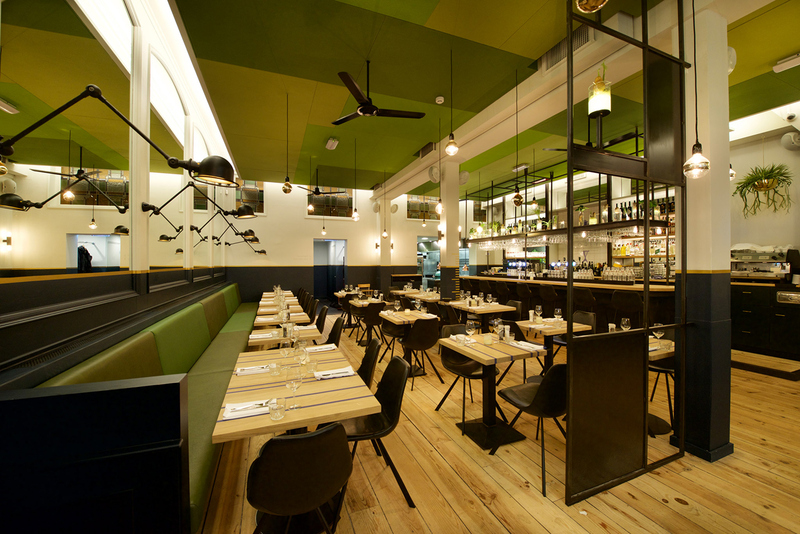 The upholstery of the long wooden couch that lines the left wall is re-coated in different shades of polder green and the tables have been given a pattern of blue lines that came straight from the restaurant’s logo. Walls are artistically decorated. 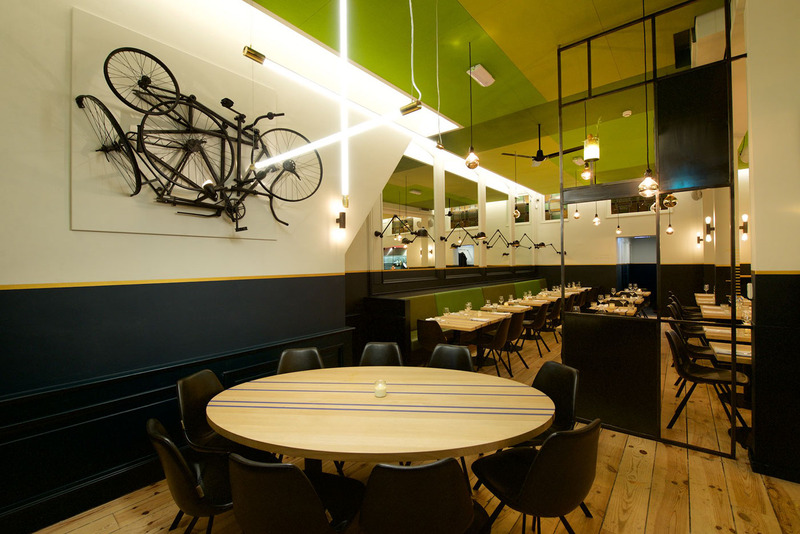 The bicycle artwork next to the wall by the window seems to have been fished from the canal only this morning and the logo of the restaurant is prominently displayed behind the bar in Delft blue tiling. Sometimes the take on Dutch particularities are subtler. 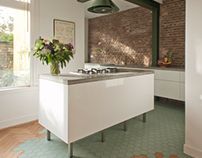 The felt ceiling in different shades of green is an abstract transposition of the Dutch polder landscape seen from the sky and the existing bar was given a steel construction with a subdivision that reminds us of the works of Rietveld and Mondrian. On this construction, glass jars can be seen in which vegetables are growing. 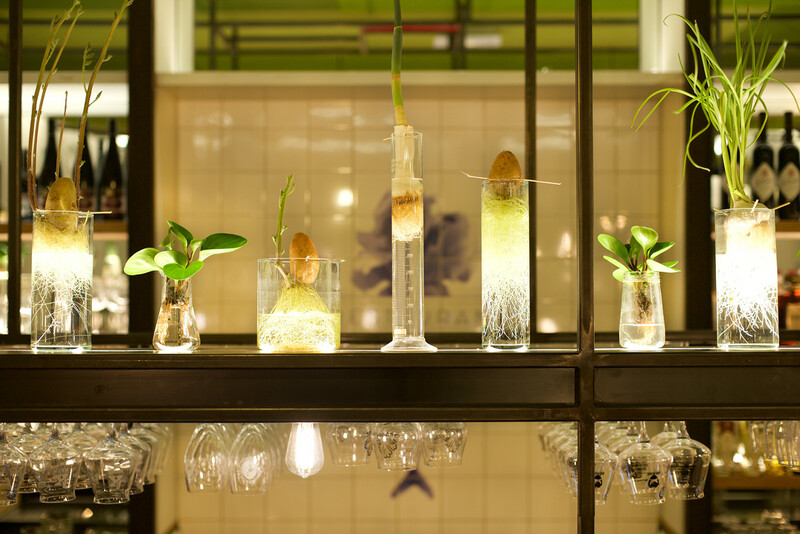 Onion, potato, celery and others have their roots lit from below creating a mesmerising effect, a stylised laboratory for the chef. 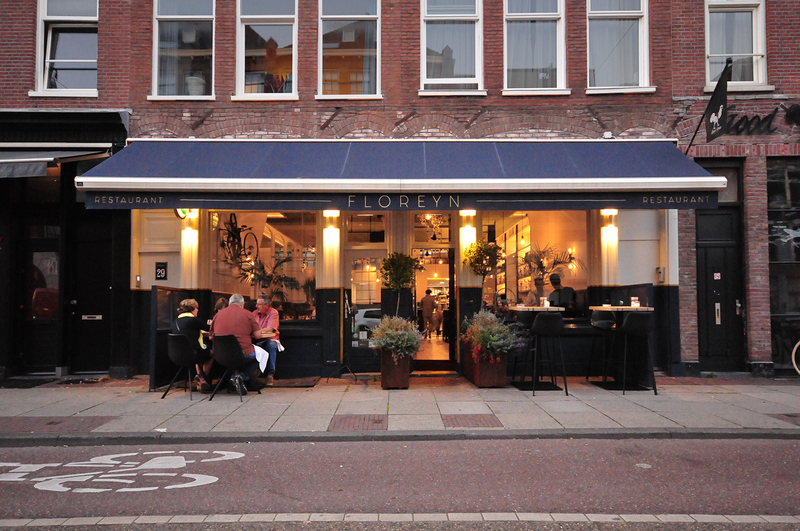 Restaurant Floreyn A plate full of Dutch design.